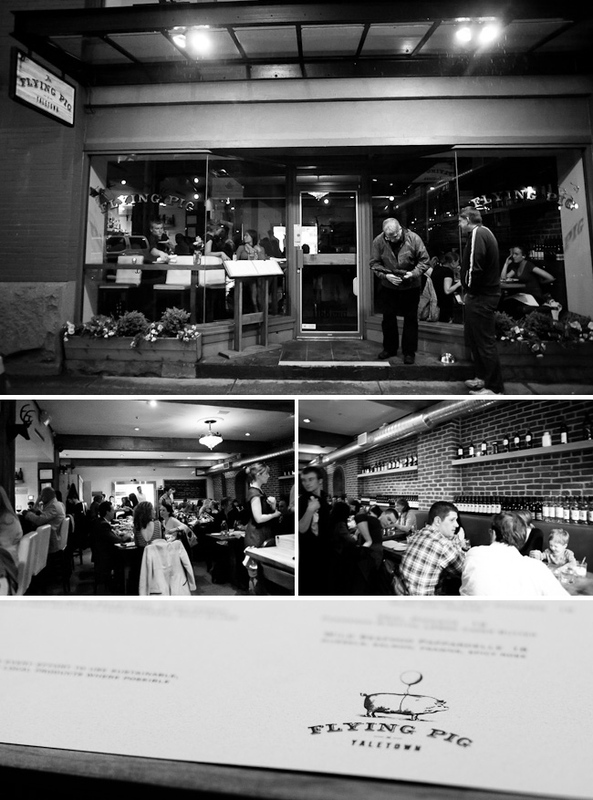 a flying pig :: yaletown | .liveit.loveit.blogit. Yesterday was a very exciting day for me! Not only was it day one in the voting competition for the Richmond 365 Days of Dining competition (vote for me!) but, I finally met my lovely blogger friend Melissa of West Coast Nest, after almost a year of being super close on the internet. It actually felt like a internet date, which was kind of hilarious. Melissa suggested that we try out A Flying Pig in Yaletown, since she’d heard great things but had never tried it out herself. Since I’ve been away from the lower mainland for four years, I’m not super up to date on the food scene. Anyone I told this was where we were going had only good things to say. We arrived shortly before 6:30 on a Tuesday night to a bustling restaurant, and it remained busy for the two hours we were there. The restaurant only takes reservations for lunch and brunch, but luckily two spots at the window bar were available upon our arrival. It was comfortable, and as a food blogger I love that natural window light! A Flying Pig had me from the bread. It was fresh out of the oven—soft and warm—and served with high quality EVOO and balsamic vinegar. Melissa and I both ordered the beetroot and arugula salad (to the delight of both our servers), so we had very high expectations once it arrived. The salad featured yellow and red beets, whipped goat cheese, and an apple cider vinaigrette. It was amazing. The spicy arugula coupled perfectly with the other flavours, and on top of that, it was a generous serving of salad. Highly recommended. For our mains Melissa ordered the seafood pappardelle (with mussels, salmon, prawns, halibut, in a spicy rose sauce), and I ordered the halibut with yukon gold potato gnocchi and corn nage. Melissa assures me her dish was delicious. But let us talk about the halibut. Moist. Flaky. Delicious. The corn nage was a perfect accompaniment, and the gnocchi was awesome. I loved my meal. And I ate the entire gigantic plate. Needless to say, we had no room for dessert! 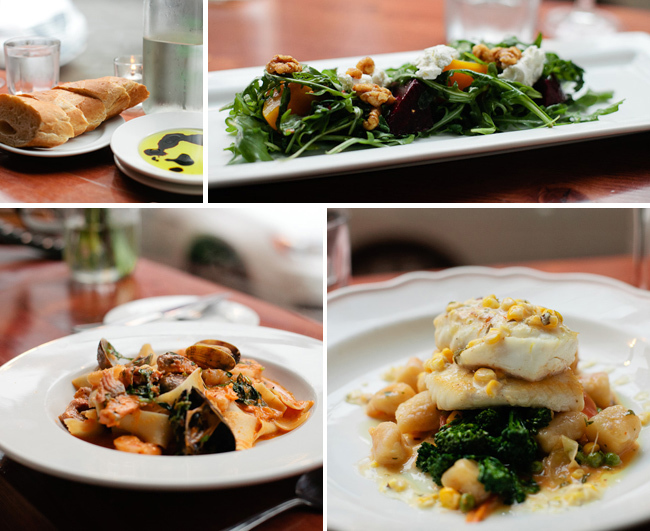 Both servers told me that my meal (arugula + beet salad and the halibut) was their favourite paring on the menu, and while I’d like to go back and try other dishes… I might just have the same meal. It was delicious. A Flying Pig; 1168 Hamilton Street, Yaletown; Vancouver, Monday to Friday, 11:30-midnight, Saturday and Sunday, 10:30-midnight. At $106 before tip, this meal was an awesome value (two starters, two mains, and four glasses of wine). Go there. Get there early. Eat the halibut. You won’t regret it.